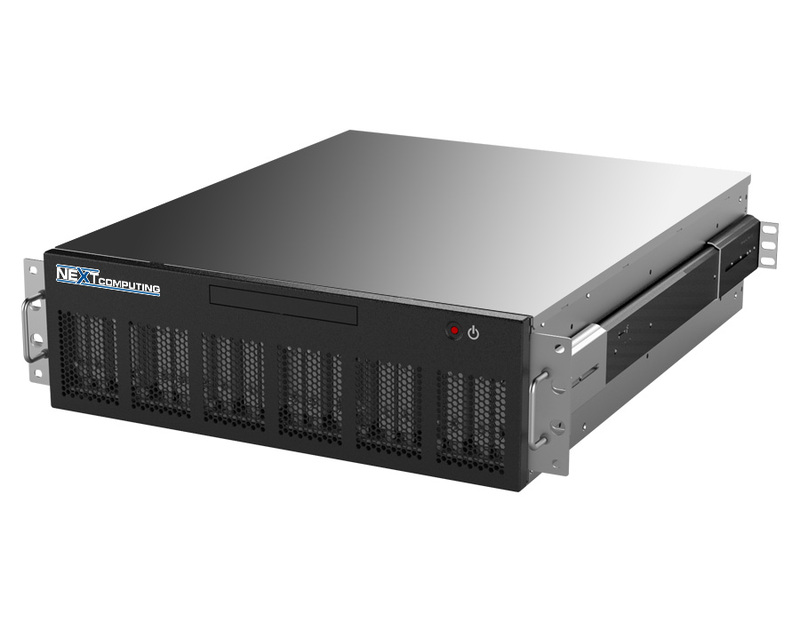 Powered by our innovative modular architecture, our short-depth, high-density rackmount platforms provide enterprise-class server computing in smaller spaces than traditional hardware. 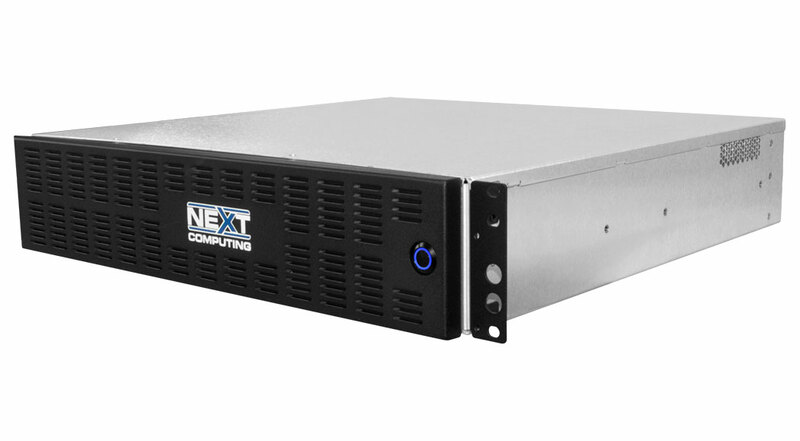 Whether you perform 3D rendering, military simulation, video encoding, or a host of other tasks, we can help you design a rackmount solution that maximizes performance per cubic inch, and gives you the peace of mind that only NextComputing’s in-house engineering and industry expertise can offer. Nucleus 2U – A unique form factor for high-performance computing in limited spaces. The 2U height and short, 17” rack depth make it an ideal fit for small racks or for easy transit wherever you need it to be. Nucleus 1U – A sleek, compact, high-performance system designed for appliance, workstation, or server use in a variety of environments. High-performance 3U workstation/server system features dense processing and a shallow, 20-inch rack depth for space limited environments. Front panel connectivity is ideal for military vehicle systems or telco servers. Nucleus Front I/O – Front panel connectivity is ideal for military vehicle systems or telco servers. Nucleus Rear I/O – Traditional back panel I/O access allows for integration into existing hardware infrastructure. High-speed data recording, processing, and I/O capabilities for developers of packet capture, data acquisition, and network forensics solutions.